The weekend of 16th/17th March saw the culmination of this year’s Regional qualifying contests for the National Brass Band Championships of Great Britain, with our local bands heading to Stevenage for the London & Southern Counties regional contests. The Third Section started the LSC contest on Saturday morning, and scaba was represented by 5 bands in this section. Huge congratulations to Chichester City for a well-deserved victory which sees them qualify for the finals in Cheltenham in September and poised at the top of the grading table next year. Epping Forest claimed 2nd place and the other finals qualification spot, with promotion to the 2nd section in 2020. 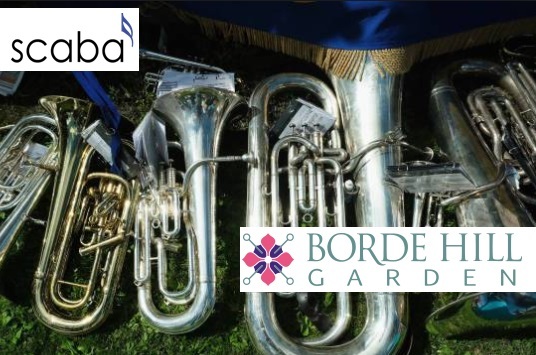 Brighton & Hove City Brass rounded off a fabulous set of results for scaba members with 5th place. In the First Section, scaba Entertainment champions Amersham Band were awarded 1st place for their musical and technically assured performance of Vinter’s ‘Symphony of Marches’. The title came with qualification to the finals in Cheltenham and promotion to the Championship section in 2020. A stunning achievement for a band that competed in the 4th section just 7 years ago! Sunday saw Pangbourne band competing in the Fourth Section, claiming their best Regionals result in over 20 years with 5th place. The Second Section included 5 scaba member bands and gave us our 3rd Regional champion with Epsom & Ewell taking top honours and an invite to the National Finals in Cheltenham. Horsham Borough and LGB Brass were close behind in 4th and 5th places, results placing them at the top of the grading tables with promotion to the First Section in 2020. Rounding off the weekend with the Championship section, Friary Brass Band claimed their 5th consecutive Regional Championship title with a stunning performance of Ray Steadman-Allen’s ‘Seascapes’ masterfully directed by Chris King who now holds the record for consecutive victories as MD of the same band in the L&SC region. Long–time members and supporters of scaba, Friary will be making their 7th consecutive appearance at the National Finals in the Royal Albert Hall in October. We are delighted to note that our Spring contest, moved to a date before the Regional contests in response to feedback from bands, gave a positive boost to Chichester, Brighton, Epsom & Ewell and LGB in their preparations for success in Stevenage. Let’s hope more of our members and local bands will be inspired by their results and also take the opportunity to support our event next year and get some valuable pre-Regional performance practice and feedback! Congratulations to the winners, to all scaba member bands for taking part in the contests this weekend, and to the many SCYB members playing with their home bands. We wish the very best of luck to our 4 finalists who will be flying the flag for scaba in the autumn. This entry was posted in Blog, Concerts and tagged #AmBand, #BHCB, #ChiCityBand, #EESB, #EppingForestBand, #FriaryBrassBand, #HorshamBoroughBand, #LGBBrass, #RegionalChampions, #regs2019, LSC, PangbourneBand, scaba. Bookmark the permalink.